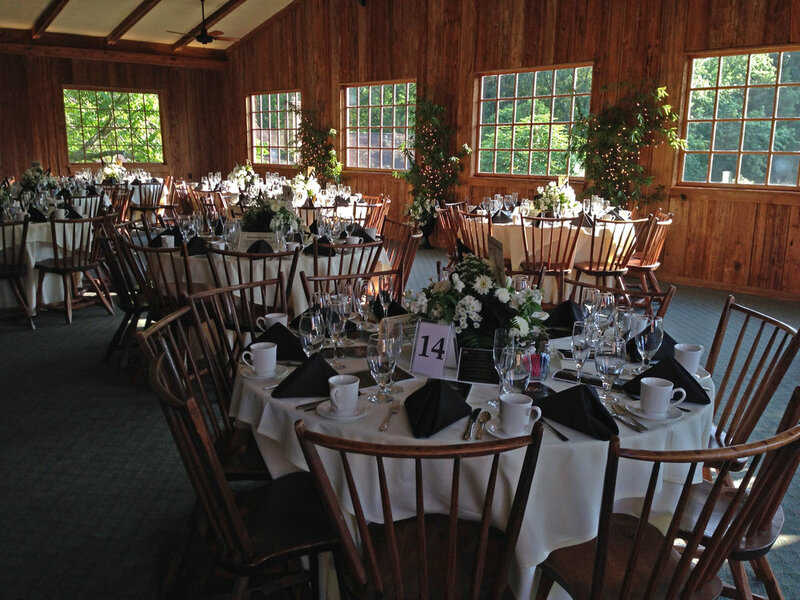 Banquets are perfect for get-togethers that are either more formal, have more guests, or encompass more structured events, such as anniversary parties, fundraisers, second wedding receptions, sweet sixteens, and company parties. This option includes 4 hours with optional extra time. Bartenders are included in the package and the client is welcome to provide any alcohol they wish to serve. Buffet and served dinners are available, and both include basic hors d'oeuvres for the cocktail hour. With the extra time, these events welcome a DJ or band for entertainment.